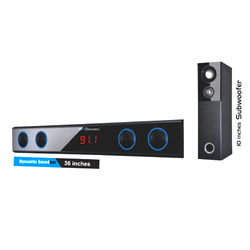 Our product range includes a wide range of sound bar and sound bar 450w. We are the supplier of the Dynamite Sound Bar 36 Inches. 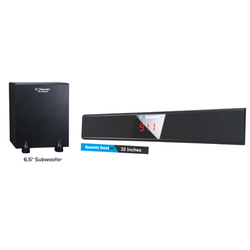 We are the supplier of the Dynamite Sound Bar750 W.
Our offered range of Sound Bar is designed and manufactured under the supervision of our vendor's adept professionals using superior quality components and modernizes machinery in accordance with set industrial quality norms. Moreover, clients can avail the entire range of soundbar from us in various configurations and at industry leading prices. 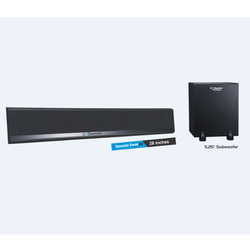 We are the supplier of the Sound Bar 450W.